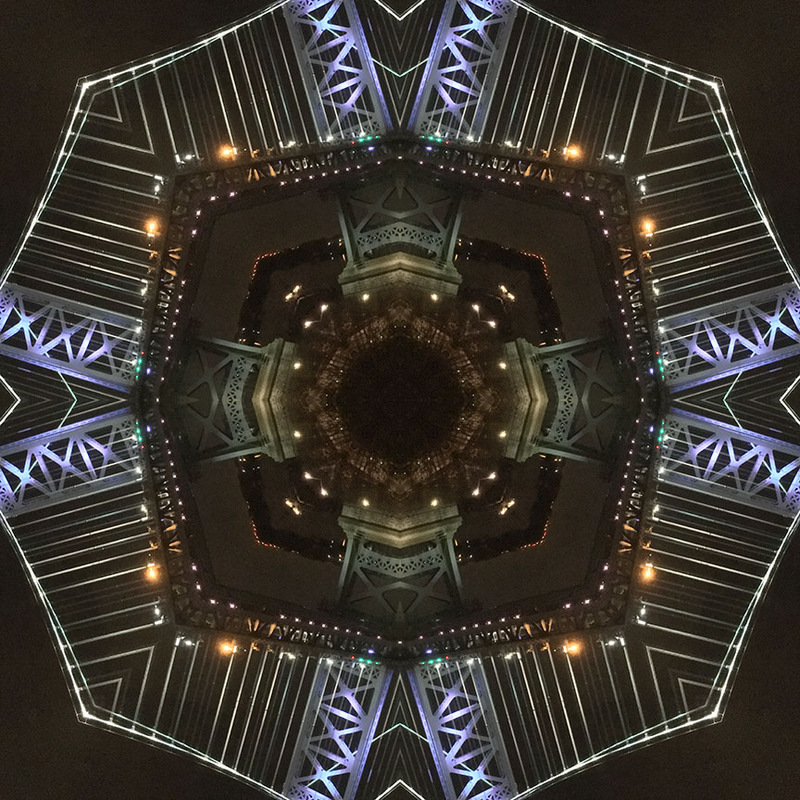 Below is the original photo used to create this image. 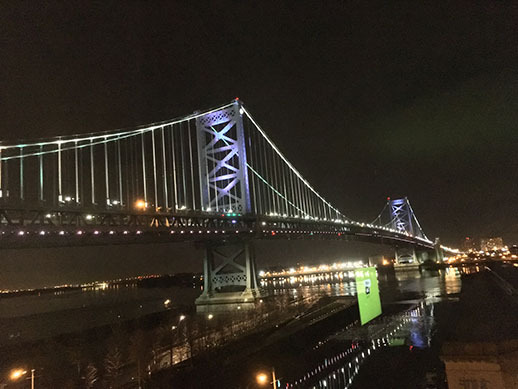 It’s of the Benjamin Franklin Bridge in Philadelphia, Pennsylvania, taken from my hotel window in December, 2017 while visiting family before Christmas. No special lighting or effects, just a snap from my smart phone.